Are you perhaps looking for a Christmas gift that is “fit” for your active friend, family member, or loved one? 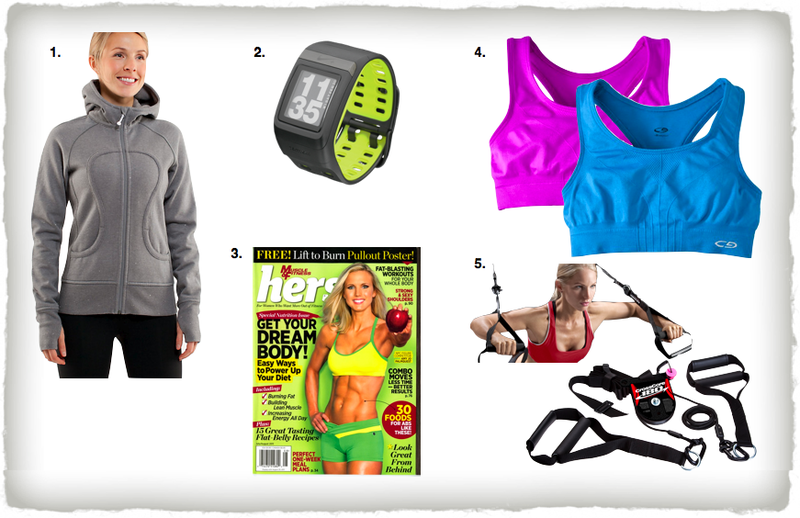 Well I have composed a list of the top 5 fitness gifts that they will be sure to love all through the New Year. Gift #1: Lululemon Scuba Hoodie- This versatile hoodie is a female fitness lovers favorite item to throw on for a chilly workout, following a killer yoga session, or just to cozy up in on a cold day. It even has thumb holes to keep your hands warm! http://www.lululemon.com $108-$148 depending on model. Gift #2: Nike Sport Watch GPS- This hi-tech watch is powered by the famous GPS company TomTom. Head outside for a run and personalize your data on the watch so that you can track progress. Best of all you no longer need the Nike+ shoe sensor so if you don’t wear Nike’s it’s no problem! http://www.nike.com $199. Gift #3: Muscle & Fitness Hers Magazine subscription When it comes to fitness magazines, there is only one good read that comes to mind-Muscle & Fitness Hers. Learn real strength training workouts, not the sugar-coated ones. This magazine keeps every month different and uses a wide variety of fitness models, photos, and products. http://www.muscleandfitnesshers.com $19.97/year. Posted on December 15, 2011, in Fashion, fitness, Fitness News, product review and tagged champion, cross core 180, fitness gifts, fitness gifts 2011, lululemon, muscle and fitness magazine, nike, top fitness gifts, workout, workout gifts. Bookmark the permalink. Leave a comment.